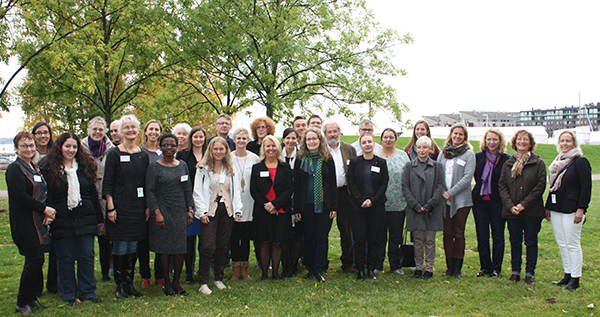 Three consecutive Expert Workshops were held at the Reseach Council of Norway Offices in Oslo on October 14-15, 2014, to reflect on the draft analyses of the mappings carried out as part of Work Package 2, on national programmes, plans, legislation and initiatives promoting gender equality through structural change (Task 2, led by RCN), of their impact in selected research institutions (Task 3, led by WBF), as well as on existing awards and charters on the promotion of gender equality in research institutions (Task 4, led by ECU). WP2 Task Leaders received feedbacks from GENDER-NET partners and observers, as well as from several invited experts, among which: Gerd Bjørhovde (Professor Emeritus at the University of Tromsø, former Chair of the KIF Committee for Gender Balance in Research, Norway), Jóna Pálsdóttir (Gender Equality specialist at the Ministry of Education, Science and Culture, Iceland), Hans Borchgrevink (RCN, senior research policy adviser, retired), Carl Jacobsson (EAB member, Swedish Research Council) and Alice Hogan (EAB member, consultant, former US NSF-ADVANCE Program Director). The three full Deliverable reports are due beginning of 2015 and will be made publicly available here shortly thereafter.